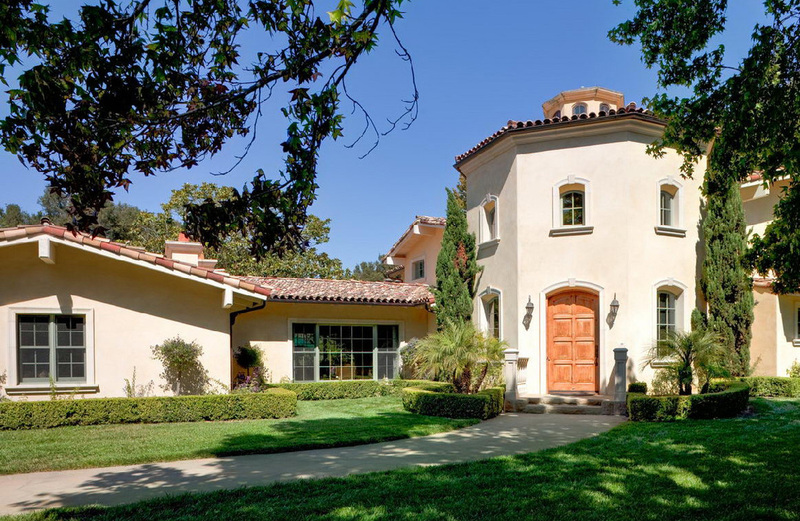 RESIDENTIAL - VAN SANDE STRUCTURAL CONSULTANTS, INC.
4,300 SF two-story Spanish style residence. 11,000 SF two-story luxury residence and one-story masonry and wood frame barns. 4,500 SF two-story Mediterranean style residence. 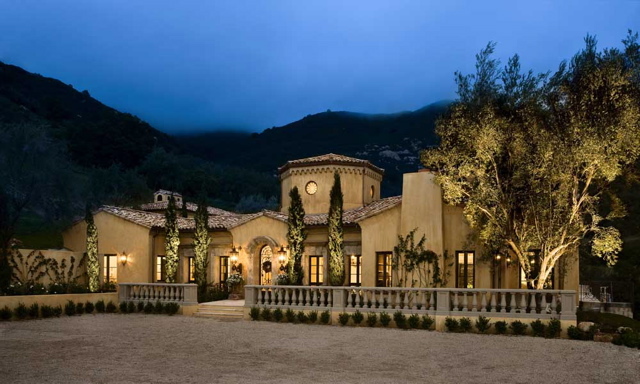 4,000 SF Spanish Mediterranean style single story custom wood frame residence. 6,500 SF contemporary single story steel and wood frame residence with a detached two story garage/carriage house structure, entry gate tower, pools and retaining walls. A 1,700 SF two-story hybrid block wall residence with wood frame roof and floor system and a 500 SF elevated deck. 8,200 SF 2-story Spanish Mediterranean style custom residence. “L’Escala Dien” c. 1940. This rustic adobe in the hills above Santa Barbara is styled after a Spanish hacienda and was restored to its former glory in the 1990’s. The restoration of the adobe was actually an extension of adobe cottages projecting at different angles and levels from a central atrium. Twenty-seven 4,000 SF and one- and two-story residences on a private golf course. Design services for beach front residence approximately 2,500 square foot, three-story wood frame structure on precast concrete frame and deep cast-in-place concrete piles. Design services for a three level hillside residence with an attached two car garage, swimming pool and extensive site retaining walls. 7,261 SF two-story wood and steel framed french country style residence. In 2006 we were retained to provide structural engineering services for an extensive remodel and partial seismic upgrade to an old George Washington Smith – designed and built for James Canby and later remodeled by Mr. Smith for The Cunningham family. 5,100 SF two story wood frame residence with a 350 SF pool house. One of the oldest and most magnificent estates in Hope Ranch, this house was designed by George Washington Smith and completed in 1927 for the Peter Cooper Bryce family. The late historian David Gebhard considered it “one of the great houses of the era and one of Smith’s finest masterpieces.” Plans and general consultation for extensive structural upgrades were prepared in 2006 by Van Sande Structural Consultants, Inc.
Four 4,000 SF single-story residences. Design services for approximately 2,500 SF three-story steel moment frame residence with a composite metal deck and concrete floor system. 12,000 SF one story wood framed residence with basement. One hundred years ago, architect Francis T. Underhill built “Villa De la Guerra” for his mother-in-law Francisca De La Guerra. The architectural design was inspired by Greek and Roman principles and the floor plan took its cue from Casa De la Guerra – Francisca’s childhood home. Over the last 100 years, several owners have called the Villa home. In 2004 Van Sande Structural Consultants, Inc. were hired to assist in the restoration of the villa, while honoring Underhill’s original design. 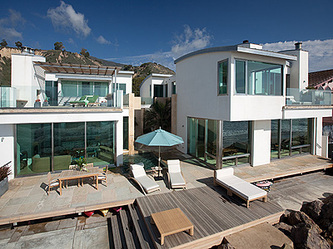 8,600 SF 2-story beach house. 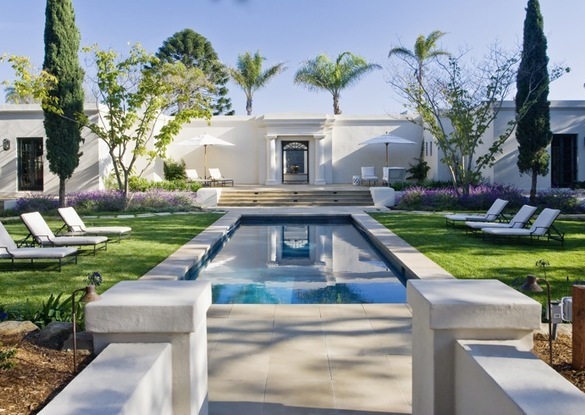 This historic Montecito estate was designed in 1923 by architect George Washington Smith. Many of the iconic spaces and features of an Italian villa are present. Over the years Van Sande Structural Consultants, Inc. has been involved in several additions and remodels to this historic villa. The project consists of design services for a single story hybrid block wall structure with a conventional wood frame roof and slab on grade. 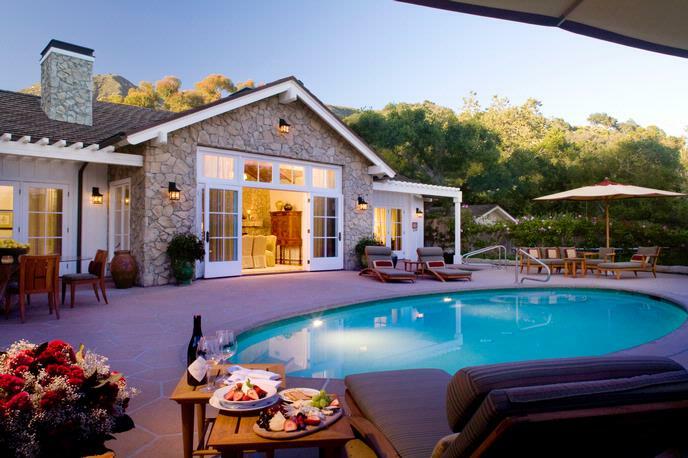 The residence consists of a 2,112 SF main house and a 1,250 SF guest house. 14,000 SF two-story wood framed residence with formal garden and pavilion. 6,000 SF two story conventional wood frame residence with an 800 SF basement, masonry entry gate posts, masonry screen walls, site retaining walls, masonry wall between motor court and stable court; a 700 SF pool house; a tennis viewing terrace/arbor; and a 85’ long pergola at the pool. Twenty-two single family residential homes; single story wood frame concrete slab-on-grade; and site retaining walls. In the 1890’s, Francis Underhill designed the original adobe. Later, architect Francis Wilson was engaged to do an extensive remodel based on the Villa Farnese near Rome. In the mid-1920’s, George Washington Smith was hired to further remodel the house. The current owner performed a significant upgrade and remodel of the existing two-story adobe structure using state-of-the-art methods suggested by Fred Webster, PhD, SE - a renowned expert in adobe construction who was engaged to assist our office in this very unique historic restoration and seismic upgrade. Fire rebuild project for a four level residence and garage totaling approximately 4,600 SF. 5,500 SF two-story residence over basement. 8,000 SF remodel and addition to a two-story wood frame residence. This two-story adobe residence was built in 2001 to complement the nearby Boeseke ranch style adobe built in the 1840’s - one of Montecito’s oldest buildings. This quaint adobe cottage in Santa Barbara was built in the early 1900’s by its original architect/owner. It was recently added to and upgraded preserving the original adobe walls. Structural upgrades and repairs were performed as needed to preserve this seasoned veteran for future generations. Extensive additions and remodel of George Washington Smith designed estate built in the early 1900’s. Alterations and additions to an approximately 7,000 SF main house, a new 700 SF pool cabana, a new 789 SF guest house, a new pool and miscellaneous site structures. 12,000 SF three-story residence with basement. 9,000 SF two-story conventional wood frame residence with a 140 SF pool house. Design services for a two-story 2,500 SF masonry and composite insulating concrete form block wall residence with an additional 700 SF of exterior balconies. The floor and roof will be constructed with conventional wood frame construction over traditional concrete foundation. It is possible that the owner may elect to pursue an alternate second floor framing system that utilizes precast/prestressed hollow core concrete plank. Twenty one- and two-story, 3,000 SF homes. 4,500 SF two story wood frame residence, an 800 SF 3-car garage, and a 800 SF single story guest house. 6,700 SF two story wood frame residence. A 13,000 SF residence with an attached garage and storage, detached garage with storage, guest house, covered decks and uncovered decks. 16,000 SF two-story residence with basement. Site retaining walls up to 20 feet high. Gated community housing for twenty 4,000 SF to 7,000 SF residences. Single story wood frame residence and a large open “dojo” accessory building with a basement. 5,600 square foot, split-level conventional wood frame residence with approximately 1,100 square feet of covered porches and terraces. 18,000 SF two story wood frame residence with a full basement, along with a staff and service wing and a pool pavilion. Restoration of existing main house and farmstead structures; addition to main house, new barn, pool cabana and tennis pavilion. The original two-story main house and two-story guest house and garage were destroyed in the Tea Fire. Both structures include concrete foundation, masonry retaining walls, and wood framing. Structural engineering services were provided to reconstruct the existing residence based on the original construction documents with upgrades to meet the current California Building Code. 5,500 SF two-story wood frame residence. 5,200 SF three-level wood frame residence. Redesign of existing stallion barn into a 10,000 SF residence. Designed in 1915 by New York architect Bertram Goodhue, Val Verde was the first single family home built in the Spanish Colonial Revival style in the United States. Van Sande Structural Consultants, Inc. was retained in 2009 to consult on proposed revisions requiring structural upgrades to the unreinforced brick and hollow clay tile walls, and unreinforced concrete basement walls and foundations. 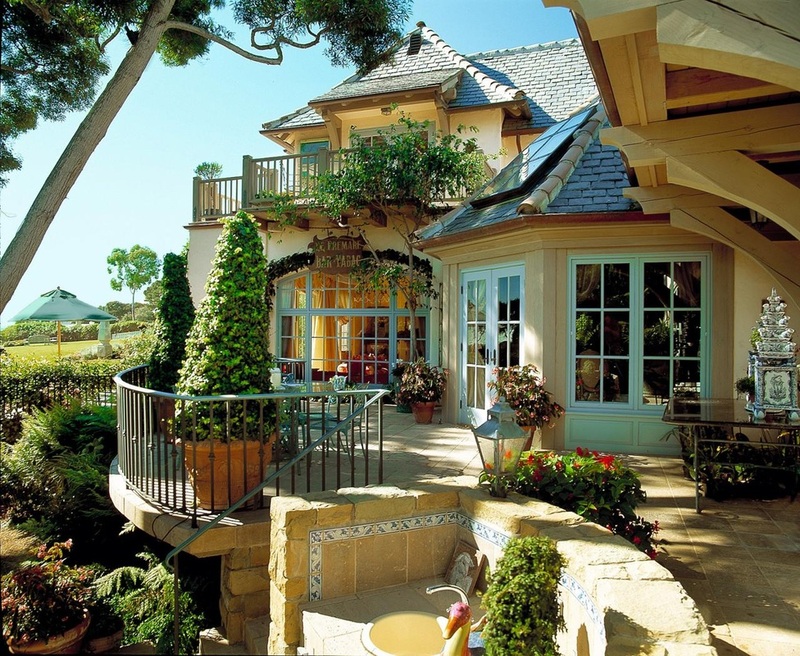 It is considered to be one of the best-preserved and finest examples of this style of architecture in California.